Like with most business advertising campaigns, pay per click advertising campaigns can be affected by external factors which you as the advertiser cannot control. Therefore, it is wise for you to undergo contingency plans for different situations that have a possibility of occurring. However, what situations can these be? Here are the main external factors which may affect your campaign’s performance consequently causing you to react using (hopefully) a prepared contingency plan. With the Euro zone crisis causing many businesses to worry, political changes can cause failure to a PPC campaign: if you do not prepare. At the moment, political movements have caused the Euro currency to be very weak. 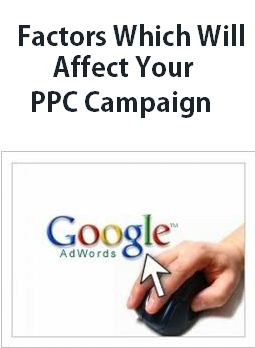 Therefore, it may be best to target your PPC campaign at non-Euro countries. People in the Euro are extremely strapped for money. Therefore, if your campaign is looking to gain sales for a product or service, you may find your performance hinders from this political change. As well as this, a political change may be a benefit to your campaign. For example, aiming your campaign at a booming market such as China will no doubt produce better performances than aiming your campaign at euro countries. The changes in the environment have caused many people to become more aware at their carbon footprint they are causing. Changes in the environment can happen at any time which, if your campaign is linked to the environment, will have negative consequences. For example, it was released the other day that diesel powered engines do cause lung cancer. This is huge news for the diesel market which will ultimately cause the petrol and electric car market to boom. Patterns with society and the way people live can affect your campaign. A great example of this is with the internet. The internet has turned into a part of everyone’s lives: I’m sure nobody can live without the internet now! With predictions that five billion people will be online in five years time, it makes clear that people are changing their lives due to increases in technology. This may give you a heads up on your campaign what to target your audience at more: evolving technology. Carrying on from the last heading, changes in technology will affect your PPC campaign. However, with this factor, it is rarely a negative impact. Technology is constantly making it easier for people to go online and therefore have the potential to see your pay per click adverts. What you can gain out of this is that the audience for PPC campaigns is slowly changing. If the less technological people are finding it easier to go online, you may need to change your campaign to accommodate people with less technological knowledge than the younger generation. Linking in with political changes, changes to the economy will affect the spending power and habits of customers which ultimately will result down to you and your PPC campaign. If internet rates are low (like they are now because of the recession), people will feel the need to spend their money more seeing that putting it in the bank won’t produce high amounts of interest. Use this to your advantage! Analysing the current economy can provide such beneficial results to your PPC campaign. How to Protect Your Affiliate Links?